In today’s world of pop surrealism, of which I’m a big fan, nobody holds a candle to the master: Salvador Dalí. 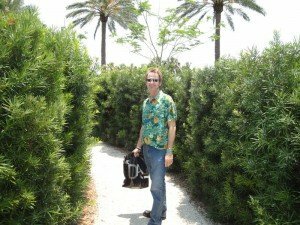 Those of us stuck in central and South Florida are lucky enough to have access to perhaps the greatest collection of Dalí artwork outside of Spain. The Dalí Museum in St. Petersburg is a must-see for anyone interested in the legendary surrealist, but it offers much more. It’s been named the top museum in the South by the Michelin Guide and called “one of the top buildings you have to see before you die.” This $36 million state-of-the-art facility is sure to please all lovers of modern art and is a surreal experience in its own right. Make sure you allow yourself at least half a day as there’s lots to see. The new facility on the waterfront in St. Petersburg Beach just opened in January, and we paid a visit in May. 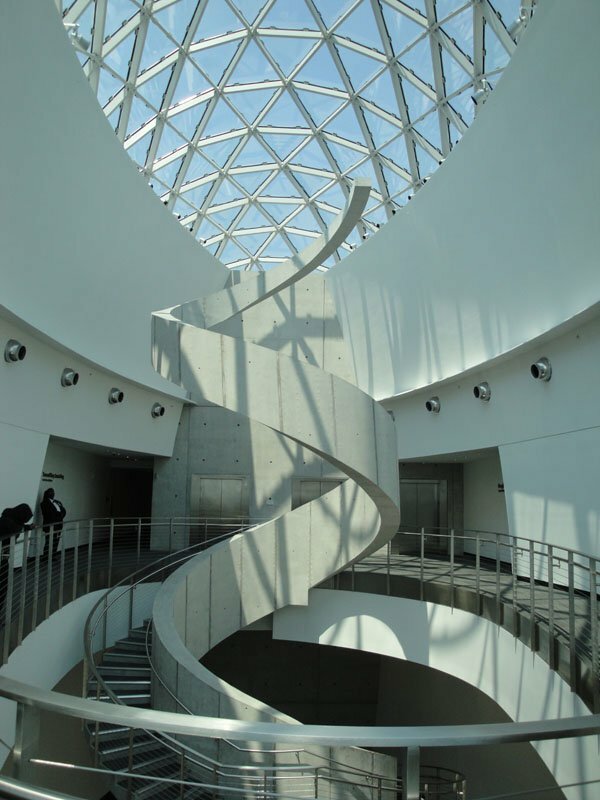 It replaces an older building that housed the Dalí collection in St. Petersburg for nearly 30 years but was limited in size to fully showcase the great master’s work. Even if you’ve been to the old museum, you need to return to check out this modern marvel, which features 20,000-square-feet of gallery space and a design that truly has to be seen to be appreciated. The sleek concrete building is more than double the size of the old one and truly does justice to the second largest collection of Dalí’s works outside of his native Figueres, Spain. Some consider it the world’s most comprehensive collection. The sheer size allows all 96 of the museum’s oil paintings to be displayed along with the rest of the collection, which includes 100 of the renowned artist’s watercolors, drawings, and 1,300 other objects such as sculptures and graphics. It also features a running loop of Un Chien Andalou, one of the greatest surrealist films ever made. The works had to be rotated in the old museum, with much of it kept in storage. The scope of Dalí’s work is amazing when you see it, then take into account that many of his works are in galleries in Spain, Paris, London, New York, California and elsewhere. The structure, overlooking Tampa Bay, is itself a work of art. After parking in the huge adjacent lot, you can spend at least a half-hour wandering around the perimeter and marveling at the design while also exploring the garden (which includes a labyrinth, a recurring Dalí theme) and grotto. A builder’s nightmare, the façade features nearly 1,000 multi-layered triangular glass panels, no two of which are exactly the same. The striking “Glass Enigma” is the first building in North America with an irregular hexagonal form, allowing for a curved design that is self-supporting. It was designed by architect Yann Weymouth, who had a hand in creating the glass pyramid at the Louvre in Paris. It’s been called a 21st century expression of Buckminster Fuller’s geodesic dome, which is featured in the Dalí Theatre and Museum in Figueres, above the basement vault where Dalí is buried. Look closely and you’ll notice that the glass shifts hue and color with the Florida sunshine. Behind the museum is the “Avant-Garden,” where you can relax on a bench unlike any you’ve ever seen. The adjacent labyrinth is actually a maze of hedges that may leave you looking over your shoulder for Jack Nicholson’s character in The Shining. If you can find your way out of the labyrinth, you enter the museum across a bridge that parts the waters of the grotto pond. It’s a little tropical oasis featuring native flora growing vertically up a wall, trickling water, mists, and breezes. Limestone mined from a quarry near Lake Okeechobee represents Dalí’s love for the rock formations of Cadaqués, the small fishing village in Spain that he often visited in his childhood and where he later lived for many years. Before you pay your admission fee, you have access to a huge store with tons of Dalí merchandise. Of course, Dalí himself was a master merchandiser and you’re likely to find many items here you may remember (Dalí cologne, anyone?) plus many more that are available only at the museum (Melty Clock Cookies, yum). There were so many great items on the shelves, it was tough choosing what to buy. 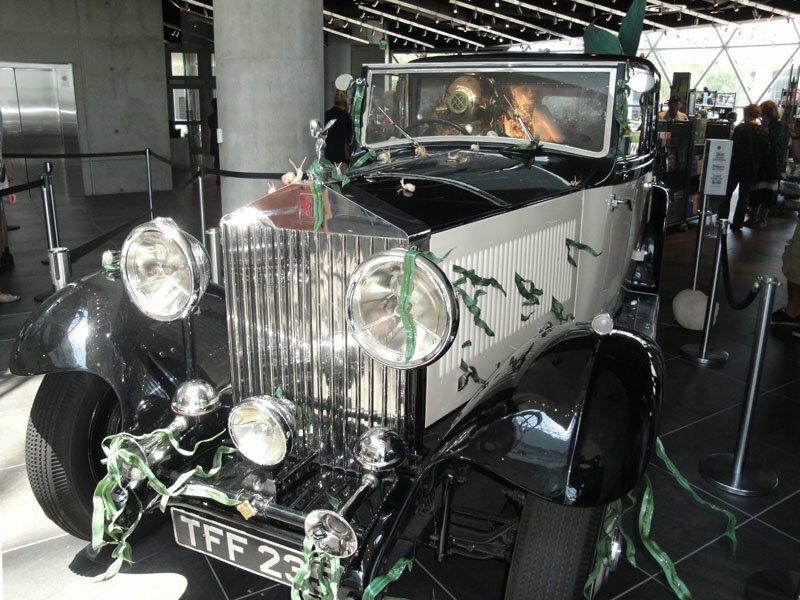 Amid all the merchandise is a distinctive art installation, “Rainy Rolls 2010,” an homage to Dalí’s “Rainy Taxi.” Engineered by the Tampa Bay Auto Museum, this reinterpretation of one of Dalí’s greatest surreal objects from the late 1930s challenges our expectations by turning them upside down. The building also contains a café, theater, classroom, and student gallery. The centerpiece of the interior is the 75-foot “Helical Staircase,” a spiral that leads you up to the third-floor galleries. Inspired by Dalí (he was fascinated by spiral forms in nature), it was created with mathematical precision to resemble a strand of DNA. 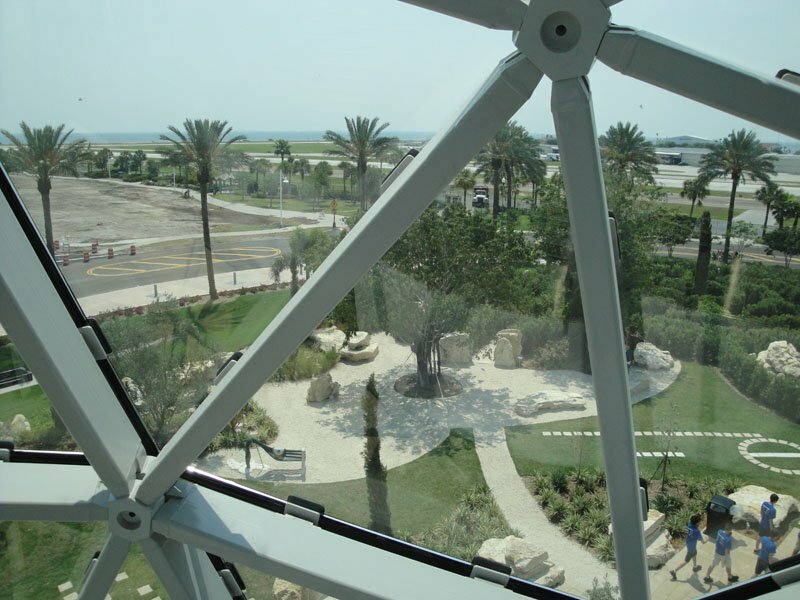 After climbing the helix, we arrived at the atrium for a breathtaking view of Tampa Bay. We then embarked on a journey through Dalí’s great body of work in chronological order. The new museum’s first exhibition, which is still ongoing, is “¡Viva la Revelación!” It presents the collection in sequence, from early works such as a 1921 self-portrait through a bizarre multimedia piece from the 1970s featuring a hologram of Alice Cooper. The audio tour comes in handy and is highly recommended. The headphones are free; just pick them up when you get your ticket. The museum holds seven of the 18 masterwork paintings by Dalí – including “The Hallucinogenic Toreador” and “The Discovery of America by Christopher Columbus” – the most of any collection in the world. It’s fascinating to trace Dalí’s life from his beginnings as a classically trained artist of still lifes and landscapes, through his evolution into the world of surrealism, then into a later phase of gigantic religious-themed paintings. Dalí changed the course of 20th century art unlike any other artist, boldly exploring every available medium while becoming one of the first modern pop culture icons. Dalí had no special connection to St. Petersburg. His works ended up there almost by accident. Dalí was a lifelong obsession of an Ohio couple (A. Reynolds Morse and Eleanor Morse), who began collecting the surrealist’s work in 1942. They offered to donate their collection for free to any venue that would keep it intact. A St. Petersburg lawyer spearheaded an effort to build the original gallery in 1980, and it opened in 1982. We’re just glad it’s close enough for a weekend trip whenever we feel a bit uninspired. If this astounding collection of work doesn’t get your imagination flowing, nothing will. The Dalí Museum is at 1 Dalí Boulevard in St. Petersburg, adjacent to Albert Whitted Park. It’s open daily until 5:30 p.m., with the store staying open just a bit later on some nights. 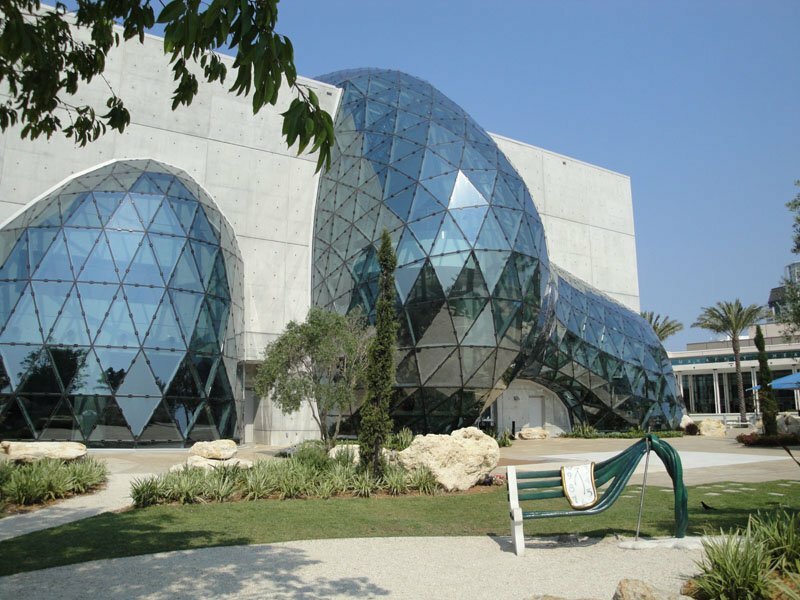 There’s also a special Thursday “Dalí After Dark” event lasting until 8 p.m. For info, call (727) 823-3767 or go to TheDali.org. * The Chihuly Collection in St. Petersburg, a gallery devoted to the vibrant glassworks of Washington artist Dale Chihuly that opened last July. * The Museum of Fine Arts in St. Petersburg, renovated and expanded in 2008. 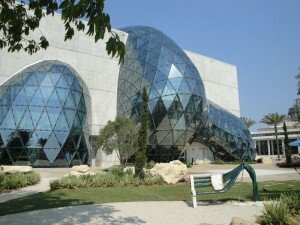 * The $33 million Tampa Museum of Art, which moved to a new venue in February 2010. This entry was posted in Art, Reviews and tagged Dali Museum, Salvador Dali, St. Petersburg, Tampa Bay. Bookmark the permalink. went to the dali in october 2011. the oil paintings were amazing, i thought that daddy linglegs of the evining was worth the price of admision.my only issue was with the grafic works. instead of showing some of his best prints such as the mythology or early prints or popular prints ie the currier and ives suite or memories of surrealism they exhibited les chants de maldoror and the les caprices de goya.